Stick figures have never been more of a turn-on. Recently I returned home to Mendocino County. I want to recount my time there but haven't had a chance to sit down and write. Hopefully I get around to it soon before the memories fade. Do you have a monster that lives in your luggage? I do. One of the unexpected surprises of not traveling very often is opening up an extra suitcase to see what's been stored in there. My mom used to make these monsters in the late '70s. I think this one was given to my grandmother. I forgot I had him. He deserves to live on my bed-- or under it if that's his preference. My sister wrote a blog entry about our mom yesterday as a Mother's Day present. Our mom was thrilled. The lesson I learned, never underestimate how much mom likes to read/see/hear about herself. Here's one of the pictures my sister put on her blog. I've cleaned it up slightly. Look at that multicolored shag carpet, the drab drapes the redwood built-in. 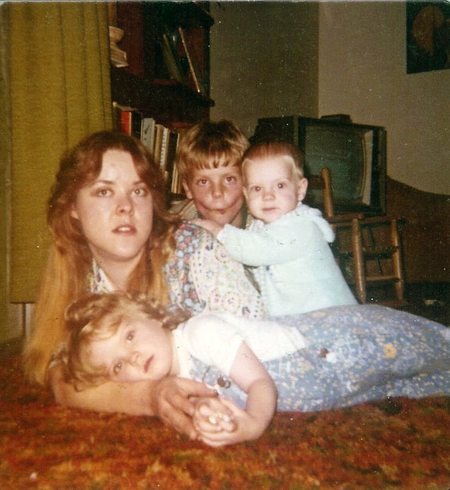 The 1970s were a magical era and not just for home decor-- check out my mom's hair. Stylish! Clockwise from the top left: Liz, DeWayne, Eric (me) and Melissa. 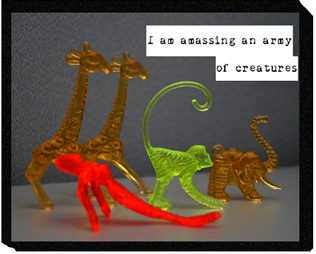 Click the image above to see the full homage to one of my favorite daily (well, almost daily) reads, asofterworld. 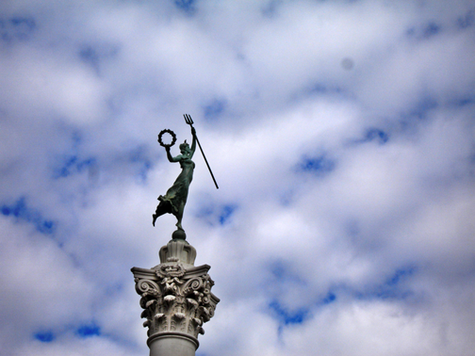 The Dewey Monument in Union Square, San Francisco on a late summer day. 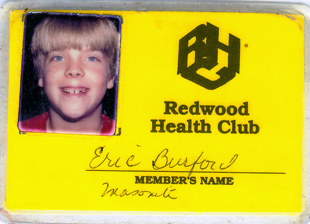 While looking through a box of things I found an old wallet that contained my very first gym membership ID card. 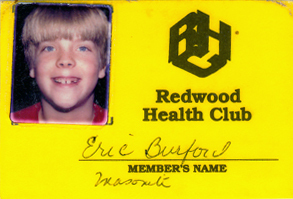 Check it out-- I'm pretty sure I'm 8 years-old in this picture and totally buff. The haircut you see was my signature style unless my mom forced me to get a buzz cut. I wouldn't venture into other hairstyles until I turned eleven. Strangely, I used this card well into my early twenties until I moved away from Ukiah. Who ever wrote this should find a nice homeless man to date. Sometimes I find myself looking at a vagabond, sitting in a pile of his own filth, scratching at the lice infesting his beard and I think to myself I should take him home, douse him with some RID, comb out the nits and give him a good scrubbing. Make him mine. Because I obviously equate homeless people with alley cats and tramp-like dogs. It's when I am about to say something to the homeless guy that I think of movies like "Down and Out in Beverly Hills" and realize I don't want to end up with a Nick Nolte. 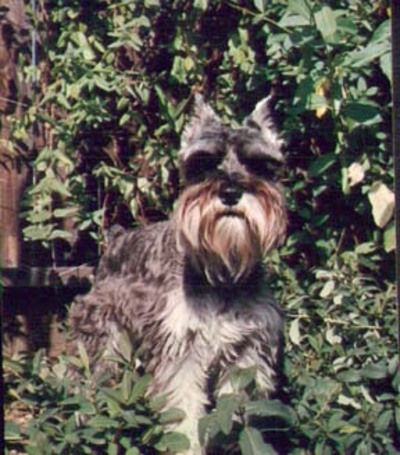 My little love Maxwell would have been 19 years old today. Ain't he cute?